Description: Ducks in front of a small pond on Phnom Penh's Boeung Tumpun Lake. The lake is currently being filled in with sand and the quanity of standing water is reduced every day. Keywords: mekong cambodia river documentary Phnom Penh Boeung Tumpun Lake. 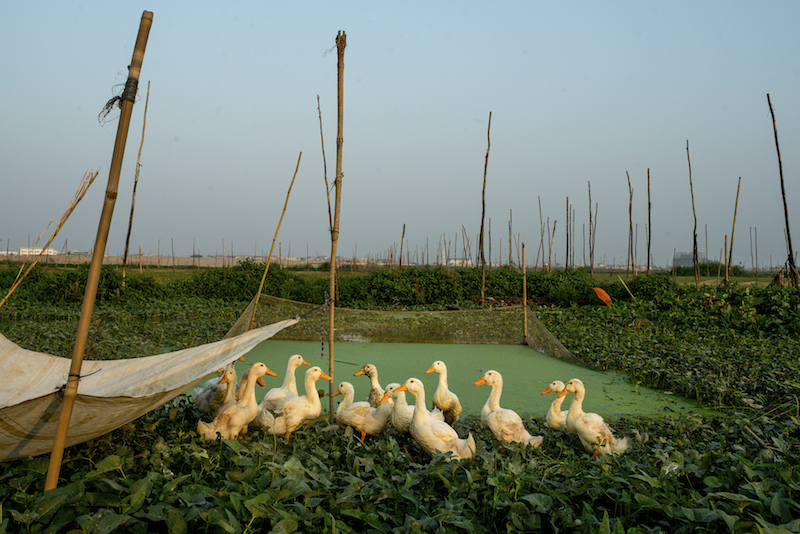 Caption: Ducks in front of a small pond on Phnom Penh's Boeung Tumpun Lake. The lake is currently being filled in with sand and the quanity of standing water is reduced every day.